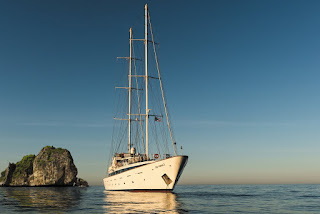 Following the success of its first season of small-ship cruising in Europe, Peregrine Adventures has expanded its Adventure Cruising range into South East Asia, offering a new style of cruise in the region. With five itineraries designed for environmentally-conscious travellers and more mindful explorers, the carbon-neutral travel company will take small ships of 50 or less travellers to places large cruise ships can't access in South East Asia from Thailand and Malaysia to Vietnam and the islands of Indonesia. 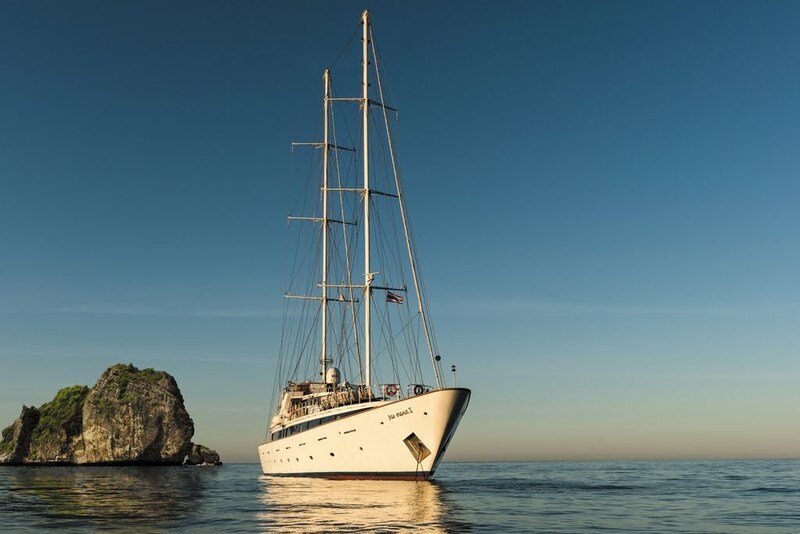 Filippos Venetopoulos, Peregrine's Adventure Cruising Brand Manager, says that the new South East Asia range has been launched in response to demand from environmentally-conscious travellers. "Traditionally cruising has all been about life onboard a big ship, but our style of Adventure Cruising is about the destination. It's a completely new way to cruise in Vietnam and other parts of Asia because it's about immersing yourself in a place, learning about the culture, visiting spectacular natural environments and enjoying fresh local food both onboard and onshore." Having launched adventure cruises in 2017 for the first time, Peregrine Adventures saw incredible success with its first charter itinerary in Croatia, with 94% capacity overall on the pilot year's seven departures. With this latest launch of adventure cruising tours in Asia, the company will now offer ten charter itineraries across Europe and Asia with 40 scheduled departures. North Vietnam Coastal Cruising (8 days): Starting in Hanoi, visit Halong Bay, historic Hue, and the important war sites of Vinh Moc and Khe Sanh, as well as the largely unknown natural paradise of Phong Nha-Ke Bang National Park. From AUD $3,360 per person twin share. South Vietnam Coastal Cruising (8 days): Dropping anchor in Hoi An, Nha Trang, Quy Nonh, Phan Tiet and more, travellers encounter centuries-old Cham architecture, age-old arts and crafts, and bays brimming with tropical fish and coral. From $3,595 AUD per person twin share. Cruising the Coast of Vietnam (15 days) Combining the North and South Vietnam Coastal Cruising trips, travellers onboard this Vietnam adventure can observe laughing yoga at Halong Bay and visit Vinh Moc, where complex tunnels housed locals during the local Vietnam-America war. In the former imperial capital of Hue, passengers will enjoy a Buddhist vegetarian lunch at a local pagoda. Unlike any conventional cruise, Peregrine travellers will be able to sail around the tiny Ly Son Island and take a road trip to Bac Truc, the oldest pottery village in South East Asia. Departures start in April 2019 with prices from $6,895 AUD per person twin share. Cruising the Thai Islands ex-Phuket (8 days) Dine with locals, explore jungle and boulder-studded shorelines and swim and snorkel in the Andaman Sea while visiting The Simian Islands, Ko Miang Ko Surin Tai and Khao Lak, which all offer the hallmarks of Thailand's idyllic south without the glitz and bustle of mainland Phuket. Priced from $3,720 AUD per person twin share, departures start in December 2018. Cruising Thailand & Malaysia – Penang to Phuket This eight-day adventure includes a tour of Penang's old town with a local guide and Langkawi's Telaga Tujuh Waterfalls. At Ko Tarutao National Marine Park, travellers will enjoy swimming, snorkelling and kayaking. In Ao Nang, a vibrant beachside town, travellers can dine on home cooked Thai food with a local family. Also whilst in Ao Nang, the group have the option to take a longtail boat to Railay Beach and get a Thai massage. Priced from $3,695 AUD per person twin share, departures start in December 2018. Indonesian Island Cruise Visit a selection of remote and seldom visited islands beyond Bali, like the tiny twin paradises of Saringi and Karamat, the incredible crater lake of Satonda, unspoiled Banta, Komodo dragon-filled Rinca, and forest-clad Moyo. Priced from $3,695 AUDper person twin share, departures start in July 2019. All charter trips are accompanied by Peregrine Adventures' local leaders and include onboard kayaks, all transfers and excursions, as well as most meals. In 2018, Peregrine Adventure Cruises has banned single-use plastics onboard and passengers will be given reusable water bottles and bags to reduce waste. Peregrine will continue to carbon offset all trips through a range of renewable energy projects.